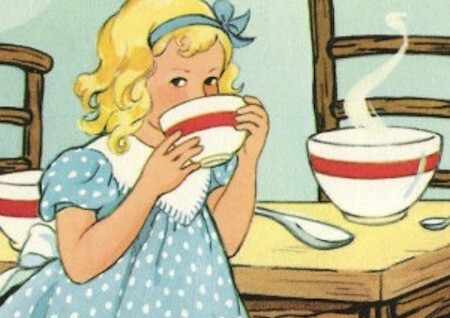 The story of Goldilocks and the Three Bears is a time-honored tale. In it, a seemingly innocent young girl stumbles into a house that, unbeknownst to her, is owned by three anthropomorphic bears. 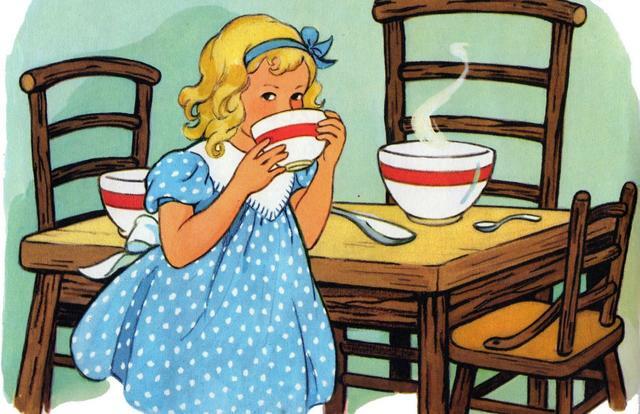 Within the house, Goldilocks helps herself to the bears’ porridge, remarking that, out of the three bowls available, one was too hot, one was too cold, and the third? Just right. Putting aside Goldilocks’s penchant for petty trespassing, her experience is not unlike many merchants looking to find the right hosting infrastructure for their Magento 2 commerce experience. Finding the right size/porridge temperature for your Magento 2 hosting infrastructure can be challenging. Too much, and you are not being efficient with your costs. Too little, and you could be creating speed issues with your digital experience. Finding the right balance between cost and performance requires an in-depth understanding of how your Magento 2 store works, how Magento 2 interacts with underlying hosting infrastructure, and what your customers’ expect from a digital shopping experience. The first major consideration for sizing your Magento 2 hosting infrastructure is the amount of traffic it will need to handle. Depending on what you are selling, your customers might have very different expectations for your site’s performance. Customers start their shopping journey by looking for information – usually online – and this represents the beginning of their experience with a brand. As they move through the journey towards making a purchase, they will look for different functionality and details. Your digital customer experience is defined by much more than just server infrastructure, but the hardware sets the boundaries for these site experiences. Many portions of the site – the artwork, the flows, the layouts, etc. – aren’t significantly impacted by infrastructure performance. But once you get into the actual shopping experience – search, cart interactions, checkout, payment, etc. – you’ll find that these things are heavily influenced by the performance of the underlying infrastructure. Web traffic – and its effect on your customer experience – is also heavily influenced by marketing tactics. Marketing via social media, for example, can produce sudden rushes of traffic. If you don’t have the infrastructure in place to handle that rush, you could be turning a marketing win into a digital loss as these visitors are greeted by a slow or unresponsive site. Even old school email marketing can produce significant spikes in traffic that you need to manage. Working with an experienced Magento 2 consulting team can help you determine the best balance of infrastructure for your anticipated traffic patterns, spikes and all. The second major consideration for infrastructure is around your Magento 2 features and integrations. Vanilla, out-of-the-box Magento 2 provides a complete commerce solution and can run pretty fast. However, there 3rd party modules or external integrations such as expanded search capability, social connectivity, marketing tooling, dynamic content generation, and others really make these sites shine. What these third-party tools do, though, is add complexity and resource requirements to your Magento 2 hosting ecosystem. A skilled Magento 2 consulting team will help you navigate the sea of plugins and integrations to ensure you find well supported and performant plugins as well as build out the appropriate infrastructure to ensure that you make best use of those new features and functionalities. The third major consideration for infrastructure sizing is how you use the Magento API and associated functions. How often do you refresh your catalog? 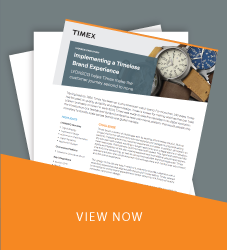 Does your inventory process update all products (regardless of their changed status), or does it only provide changes to new or updated products? Do you call out to a third party for tax or other regulatory purposes during the checkout process? The answers to these questions have a significant impact on Magento 2’s performance. A poorly considered product update process can bring Magento 2 to its knees, even on the strongest infrastructure. Magento 2’s openness and flexibility are its greatest strength…and they can be its greatest weakness. Because it is so flexible, you are able to craft the platform to fit your business’ exact needs. This also lets you add flexibility that makes Magento 2 perform sub-optimally. A competent Magento 2 consulting team will be able to work with you to identify the balance of API usage, code, and infrastructure that will meet your business integration needs as well as allow for satisfying customer experiences. A well-run Magento 2 site is a collection of components all working together to present a desirable experience to your customers. All of these components have to work together, every time, to provide these experiences. The underlying infrastructure components are fantastically complicated, and, as reliable as they are, some of these components will fail from time to time. A competent Magento 2 builder will have deployed Magento 2 into an infrastructure architecture that is resilient to component failure, will fail “safely”, and can provide intelligent alerting to your support organization when components fail. An infrastructure architecture that is resilient to component failure will have component redundancy that allows the site to remain operational while the failed component is restored. Sometimes this is a piece of software that crashes. Sometimes it is a server that fails. A well-designed architecture can account for any of these scenarios and remain functional. Failing “safely” means that if something fails in the infrastructure, your business will not be put at risk due to the infrastructure not performing as expected. This means both that your business stays “on the air”, but also that the security features of your store are not compromised by the failure. Finally, intelligent alerting means that the infrastructure is monitored sufficiently that your support organization is able to quickly identify the source of the failure to address it as efficiently and effectively as possible. A lot of hosting outfits claim PCI certification. But, you have to be careful to understand what that actually means. The PCI certification that your hosting partner claims doesn’t necessarily impact your PCI compliance efforts. Yes, they conform to PCI DSS expectations, but in the very limited scope of their operation. As soon as you create a Magento 2 hosting environment, the whole landscape changes and that PCI certification probably no longer applies. To avoid any expensive surprises, you need to find a support and infrastructure team who is willing to engage with you on your security compliance program. Simply providing a certificate of PCI compliance isn’t enough: security is more than having a box with a fancy label and blinking lights, then ticking some boxes in an auditor’s checklist. A competent Magento 2 hosting partner would be willing to engage with you to build and operate your Magento 2 shop in a PCI DSS compliant way. Finding good Magento 2 hosting is not as easy as you might think. There are many critical issues you must consider when choosing a hosting partner. Your hosting provider must be well equipped to work alongside your support provider, providing essential application behavior and performance information that is critical to the success of the support organization. Hosting is also more than speeds and feeds. The application and the infrastructure must be built for each other. LYONSCG has many years of experience working with Magento from both the application and the infrastructure perspective, and we can work with you to ensure that you are getting the most out of your code and infrastructure.